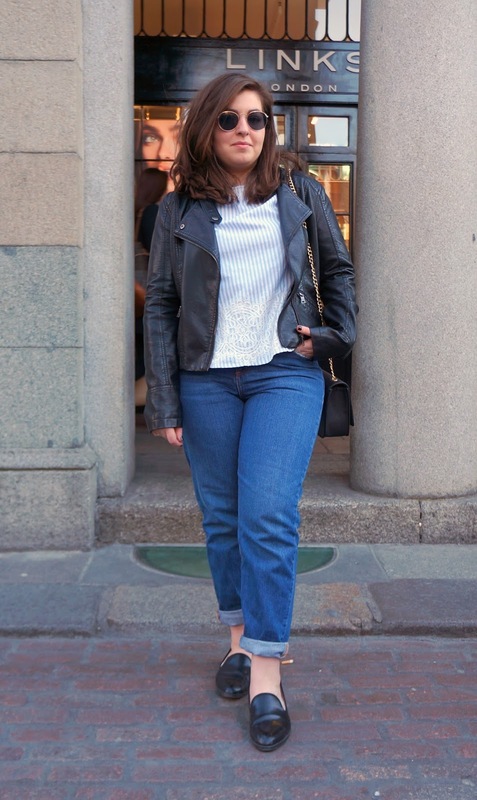 Transition weather can be the trickiest to get dressed up for. 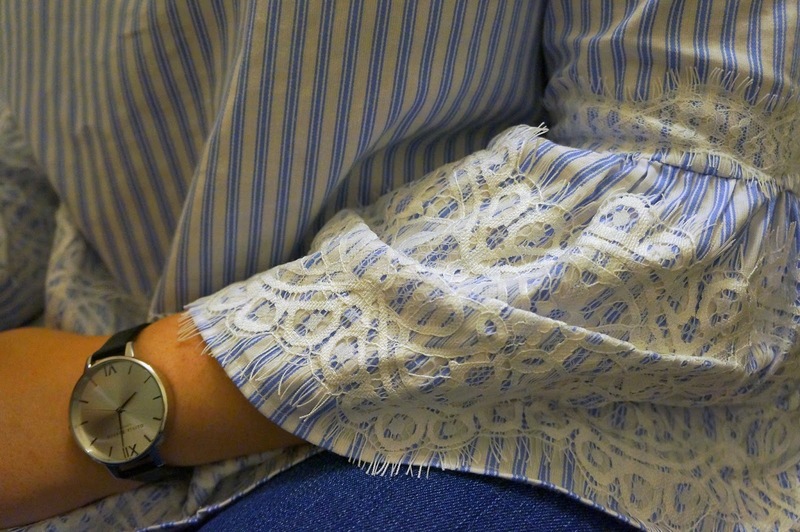 This outfit, with a 3/4 fluted sleeves top, looks completely like spring but is warm enough to bear the chilliness that the weather still brings with it. 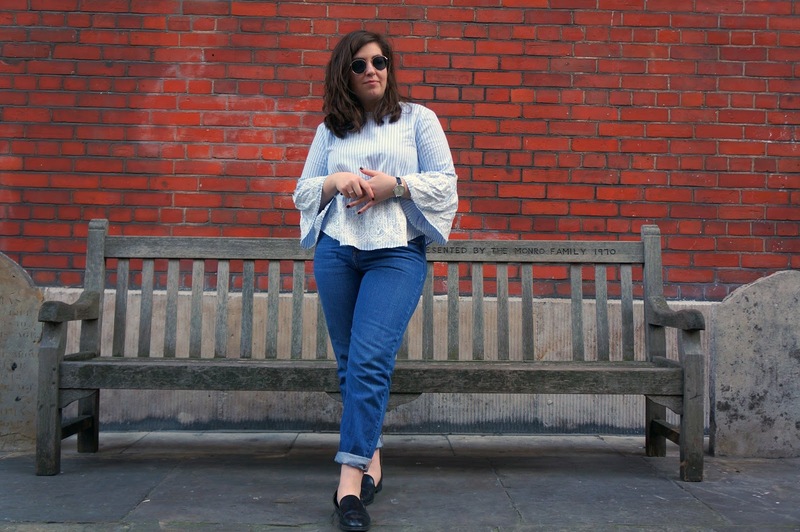 This intricate fluted sleeves top from Zara with lace detailing on the collar, sleeves and hem was styled with straight legged mom jeans in a vibrant blue. 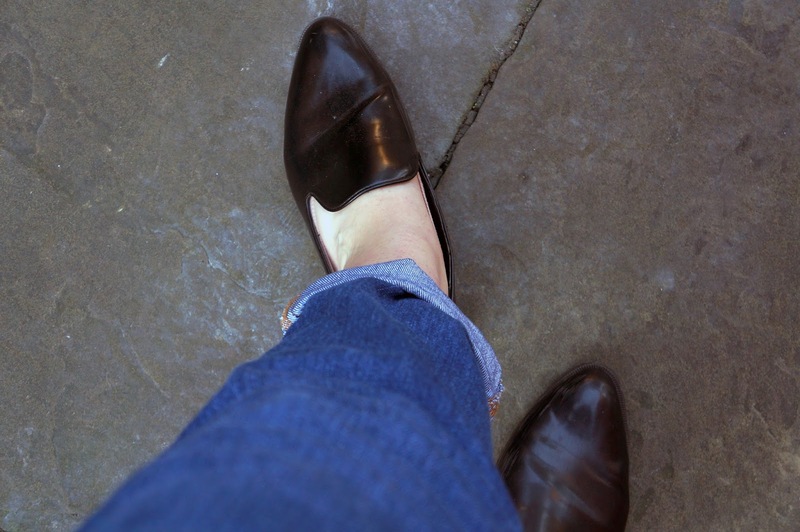 Pointed flat loafers were worn for a casual finish as well as a leather jacket for extra warmth. 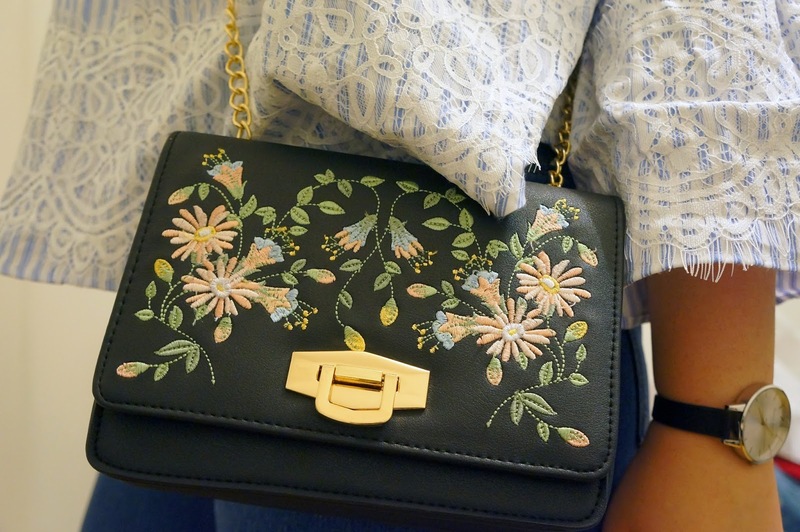 The embroidered floral bag from New Look adds an extra touch of spring to this vibrant and fresh looking outfit.